The end of each season is key in many homes, as the seasonal change motivates the change of cabinets and part of the decoration and accessories of the house. The return of summer is, for example, especially in homes where school-age children or students live, whatever their age, since it involves the classic back-to-school campaign; this moment can even extend to other fields, beyond the educational one. Many people, also adults and those who already move in a professional environment, consider the end of summer almost as the beginning of the year, even more than the month of January. Why do I say this? Because this same situation occurs in regards to household trends, the situation is not very different. Have you already thought about how to approach the change of season at home? If you still do not have the house ready or if you are thinking of reforming the interior spaces of your home, this book of ideas is going to give clues and will help you make decisions so that everything is perfect and the latest. 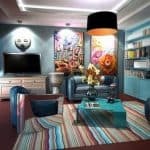 In general, if you like to give a different touch to your home in each season by incorporating current details, so that it is not outdated, do not hesitate to consult this article. We anticipate the trends that come in regard to home decoration so you can adapt the spaces of your home with the new season 2020. Do not stay behind! 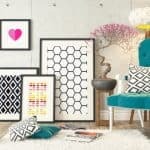 Perhaps you have been surprised that in the title of this article we talk about trends for interior decoration, no more or less than for 2020, as if the year 2018 had already come to an end. It is not an errata or we have lost the notion of time, it is that the professionals of the sector present their novelties in decoration and interior design always with a few months in advance. We, how could it be otherwise we echo this to keep the readers of interior decor always aware of the latest trends. 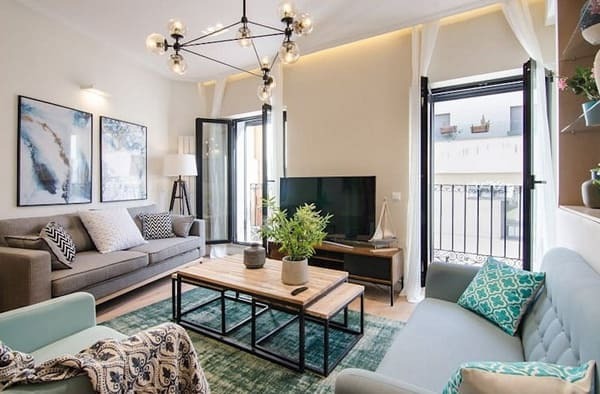 As we saw in such important events in the interior design sector as, for example, ElleDecor, where the most reputable designers anticipated their trends and preferences, in general, the lines that have been imposed during this year are maintained. The open spaces, flooded with light, decorated with plants or complements of gold or copper color, continue to be a trend and, in fact, impose themselves with force. 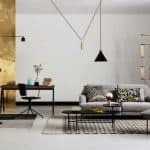 As happens in the world of fashion that we use at street level and the most important international fashion catwalks, we now find these trends in the most accessible decoration firms, so that we can incorporate them into our homes in this next season. Proof of what we have just commented is that it has become a classic that, at the end of the summer, one of the most influential furniture and decoration companies (yes, of course, we are talking about Ikea) will release its catalog for next season. This year has not been an exception and we have already been able to review in the stores of the Swedish giant its new catalog, with these new ideas and objects, which, like the lamps manufactured with natural fibers or the complements manufactured with metal, will be distributed by households of all latitudes during the year 2020, becoming essential. And what else has surprised us or called attention to the novelties we discovered in the new collection? 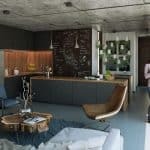 Well, we can highlight some of the ideas that we propose to update our house, stay per stay: Living / dining rooms, bedrooms, kitchens and bathrooms can incorporate various elements to renew your look in 2020. However, in all of them, highlights a greater presence of color, the care of lighting or the care of details. In the kitchen , as in the rest of the house, a feeling of warmth and maximum comfort is sought. Wood again, can bring us that warmth that is sought for kitchens in 2020. Regarding color, although light colors are still topical, the ‘total white’ has lost prominence in these rooms in this new season. It is usual, then, that touches of color are incorporated in the kitchen, that nuance the dominant white. These nuances can be introduced through the increasingly sophisticated appliances that incorporate the latest technology. By the way, steel for household appliances stays with us this season! and it does it through the different horizontal or vertical surfaces. The wood is a material that takes a few years assuming great prominence in the interiors of modern homes. Whether in the hand of Scandinavian-style decorations, Rustic style, etc. 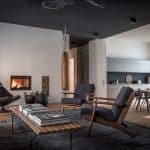 the wood is present in furniture, flooring, complements … Well that will not change in the next 2020, any wooden element can bring a cozy touch to our home. Therefore, every time we find more objects made of this material, which is also very present in household coatings this season (beyond the pavement, of course). The contribution of this season is the use of natural wood, without any type of dye. This trend that was already seen coming in previous seasons, is now stronger than ever. 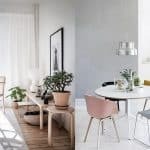 What the Ikea catalog shows us summarizes very well the trends of the 2020 season in home decoration. If we do a review of the proposals (of this firm and others that are also leading in decoration), first of all, the colorful of the collection is striking. The collections already presented for the season are full of objects so that we can introduce color in our house through different decoration accessories or, very importantly, through accessories (especially textiles). Attention! in this season we find kitchens in black, only within the reach of the most daring. For what they do not dare with something so radical, they will be interested to know that kitchen fronts are very important, an element that, in addition to making the kitchen more functional, allows us to add a different touch to the kitchen. The kitchen fronts, in this season can be smooth, of a flat color, or with stamping, especially if it is of geometric patterns. Also, like the one we see in the image, the glass fronts are trend. For the countertops, wood can be an option or stone materials (or composites made with different materials), among which, undoubtedly, the marble that remains a trend stands out. Natural wood is perfect for new styles that take center stage in 2020, beyond Nordic (which is still a trend), such as the Wabi Sabi or other oriental-inspired decorations. In addition, the fewer dyes and less varnish the wood has, the more it contributes to creating a healthy environment in our home, without emissions of chemical products that can be harmful to the inhabitants of the house. 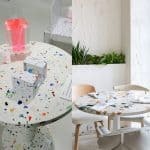 Environmental awareness and the importance of decoration in the health of people is also fashionable this season. All colors are welcome in this 2020 if they are introduced in small brushstrokes or through furniture that assume the prominence of a room, provided that it seeks to introduce a touch of freshness to the spaces. It is important to find harmony between the colors, materials and textures that coexist in a room, as the trends do not seek radical effects but create peaceful and elegant homes. One of the fashions of the season in what refers to color is undoubtedly the combination of green and pink. This chromatic game gives rise to a very suggestive mix, discreet but with personality, which is what is sought in the current decoration trends. If you want a fashionable home, do not hesitate to incorporate this ‘must’ of the season, for example, in your living room. READ Design Of Modern Bedroom Trends 2020 - how to equip an area for sleeping? 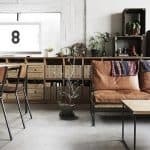 What do you think of the trends for interior decoration that 2020 brings us?